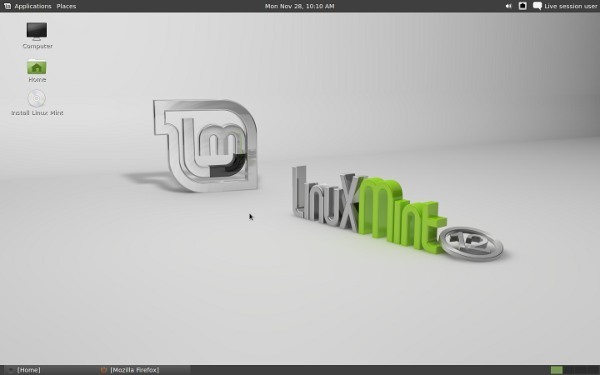 Linux Mint 12 (Code Named as Lisa) is released. 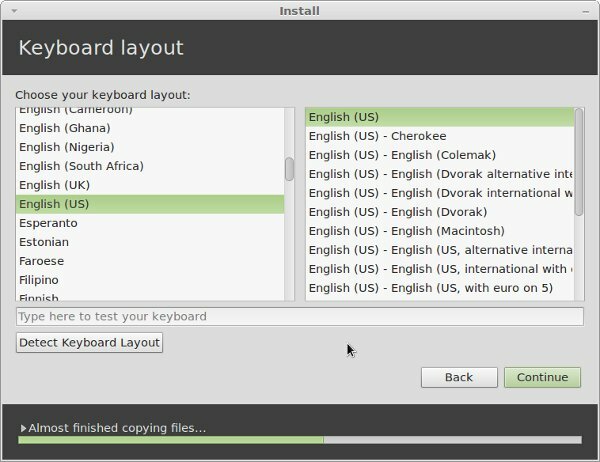 Linux Mint is one of the most popular Linux based operating system – and it’s the most user friendly Linux Desktop on this planet. If you’ve been a Windows users, then you just need to relax, installing a Linux distribution isn’t so complex/difficult as you think – specially Linux Mint (well, I’m not referring to ArchLinux). 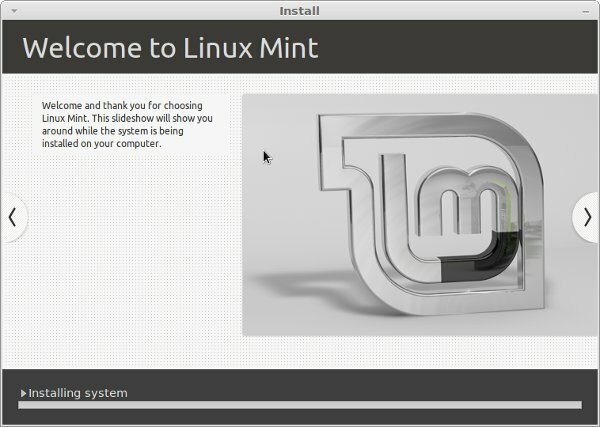 Although installing Linux Mint 12 is no different from installing Ubuntu 11.10, I’ll still provide a snapshot guide for installing Linux Mint 12 on a fresh computer or along side (as dual boot) with Windows 7 or other operating system (using a usb stick). Attention Required! : First of all, create a backup copy of all your important files. 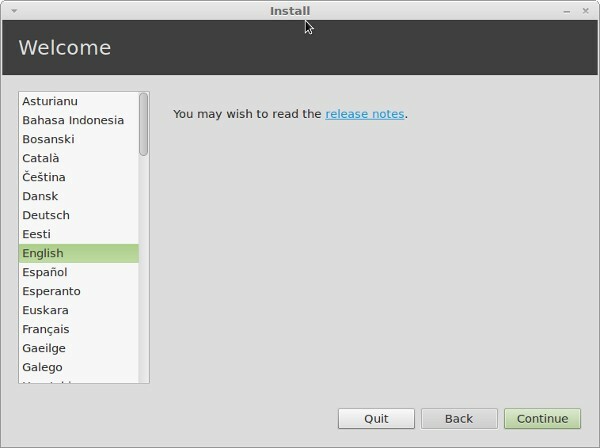 download the ISO file (CD or DVD edition) for Linux Mint 12, from the official website. Now,create a live CD/DVD installer by burning the ISO file on to an disc or better create a live USB installer using this application – Universal USB Installer (On Windows). Insert the bootable USB and restart your computer. Now, it should automatically boot from boot media (pendrive or CD or DVD). Then click on install button (it’s there on desktop, when you boot your system using Live media) to begin the installation procedure. There are three options (you can see in snapshot attached below), first one is also cool – will save you few steps (but not recommended), second one is super cool but delete everything and install a fresh Linux Mint 12 (so it’s recommended only for a fresh computer) and third one is advanced option with more flexibility so better go for it (specifically if you want to install Linux mint on a specific partition). 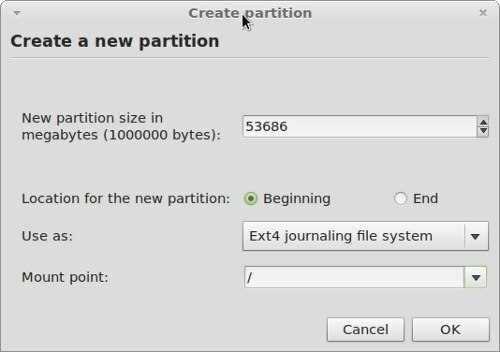 Create a partition of around 20GB (or may be 10 GB if you just want to give it a try or 50 GB or more, if you want to use Linux as a primary operating system). 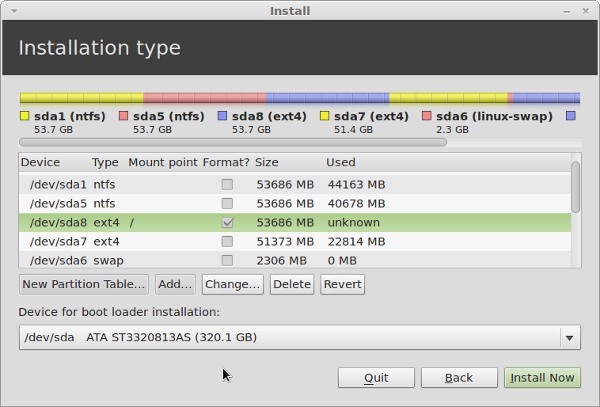 Location for the New Partition : it specifies the location in GRUB menu, during boot process. 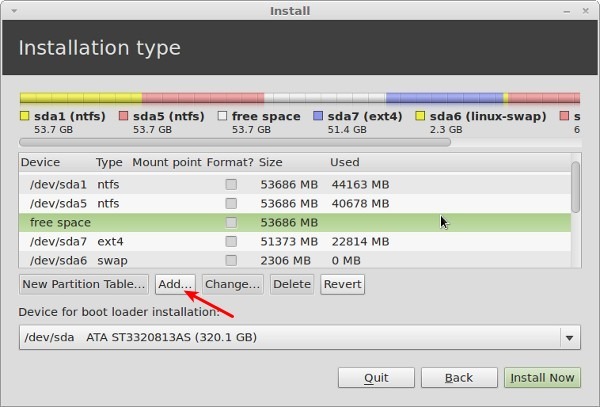 Beginning : if you select beginning, then the Linux Mint will be the default OS (if you are running more than one OS, which is usually the case in this installation Type) at GRUB menu. so during boot option if you want to boot into another OS (say Windows), then you will have to select that using arrow key. 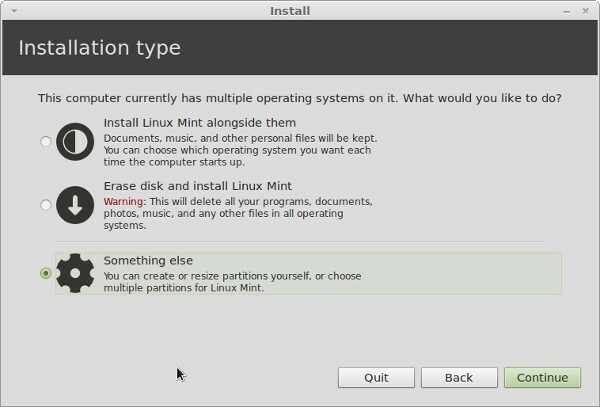 In short, choose beginning if are going to use Linux Mint as primary OS. Now, the target partition is selected, you need to select the location for boot loader installation. Leave it default if you are not sure (but do not select any hard drive that you may want to remove later or swap with another PC). Then click on Install Now button to begin actual installation. Used an XP laptop to save the iso on a CD, because the T30 I want to install Mint onto doesn’t burn CDs. Before the CD burned, I got an error message saying some code attached to the iso was being omitted, and of course with XP, there were no obvious options to include these codes. Did I wreck the installation disk? There is no free space on the list of partitions on the hard drive I selected. What now? Using Windows as part of a Linux install?????? mostly no. Previously notebooks using GMA500 display chip needed to be trouble-shooted to display a normal round shape, but no more now — it simply shows the correct round shape out of the box. Followed all installation instructions to the letter and when completed the Linux Mint OS appeared to work perfectly. However when I restarted the PC it booted to the Win7 Home Premium OS. Am changing from 10.10 to mint 12 Lisa,i want to use my 60 GB SSD as ROOT/BOOT drive and use my second Terabyte drive as /HOME. Please could you tell me how to do this as my brain is fried . Set the mount point of the SSD to root / then the Terabyte drive you probably need to select from a dropdown list and set the mount point as /home. I had done it right the first time, what threw me was when you click on the Computer button the 2TB didn’t show up. If someone tells you playing games on Linux OS is better, don’t listen to them. Being convinced to convert to Linux from Windows7 has made me smarter, more intune with my pc but ultimatley, i get really stoned and just want to play world of warcraft. In the alst 3 days i tried getting a new Linux OS with wine that will run WoW withou crashing on installer. Long story short, i cant get anything to boot! TRYING GOOGLE>LINUX DOWNLOAD…last chance. 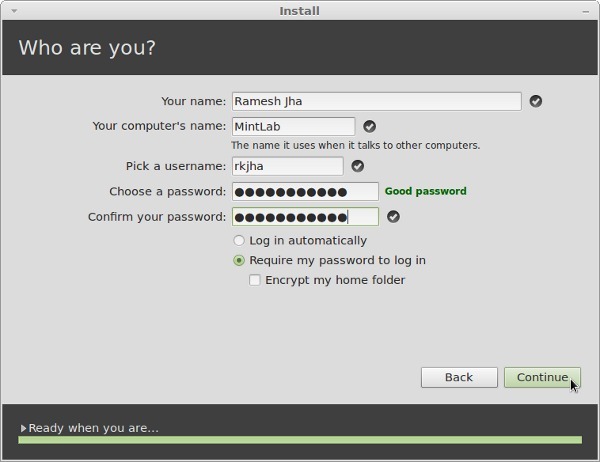 I hope that the people behind Linux MInt change the installation of Linux Mint 14 into the easy installation of Linux Mint Debian 201204 . 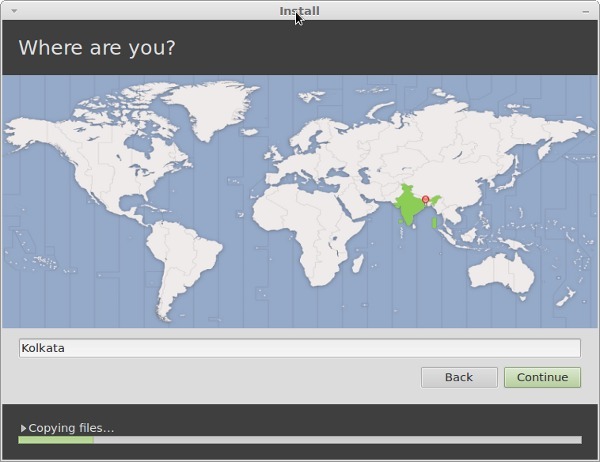 It would help people who want to migrate from Windows to Linux Mint. please do it. 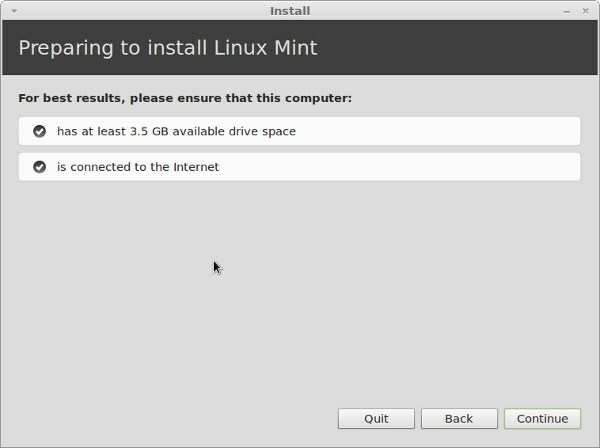 Dear August Engel, if you compare the total installation process and time required to complete the install all software available with Mint (Including office packages and PDF readers etc) and Windows, installation of Mint is easy and less time consuming and more easy.